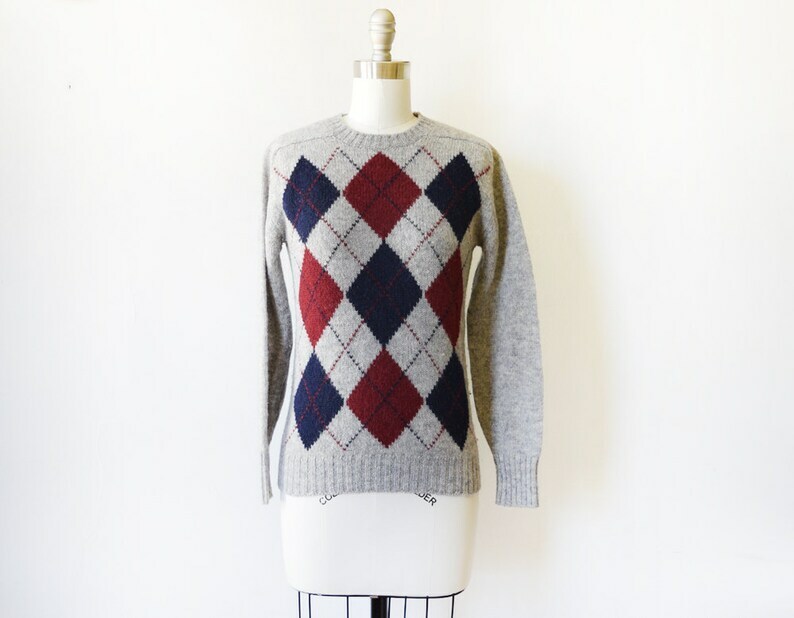 Cute vintage argyle sweater. Gray Scottish wool with navy and burgundy argyle pattern on the front. Ribbing on the collar, cuffs, and hem. The material does have some stretch. Shoulders: no seam, but around 16"
Condition: Excellent vintage condition (see description for any flaws). This item has been cleaned and is ready to wear. Received so many compliments on this sweater. Quick shipping.